Voice over Internet Protocol (VoIP) is a set of technologies that transmit voice and multimedia data as digital information over the Internet. 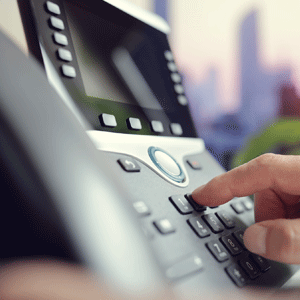 VoIP is an inexpensive, reliable and widely accessible alternative to traditional telephony systems that use the age-old Plain Old Telephone Service (POTS) technology. VoIP-enabled services have evolved from phone calls over an IP data network to a suite of real-time enterprise communication applications that streamline collaboration among business users. Your voice is essentially an analog signal. With the original POTS system, a telephone’s microphone picks up your voice signal and converts it into an analog electrical signal. The electrical signal travels through copper wires, satellites and the communication infrastructure to the recipient’s telephone speaker, which turns the electrical signal back into voice information. 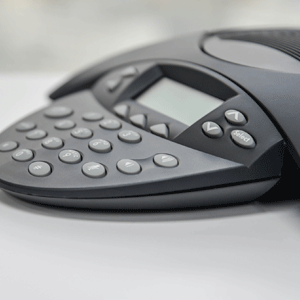 Both IP and traditional telephone systems rely on Session Initiation Protocol (SIP). The first phase of SIP is call setup—the process needed to get both phones connected, or “communicating” with each other. Next, the phones go to the data transfer phases of the call—which means transferring the voice data between two phones. SIP is flexible and highly useful in the world of VoIP, allowing communication between just two phones, or more advanced applications such as video conferences. With VoIP technology, the analog voice signal is first converted into packets of digital data representing the voice information. This data is transmitted over the Internet or private IP networks to the recipient’s receiver, which turns the digital signal back into voice information. A VoIP communication link can be established using dedicated VoIP devices, mobile devices and computers, as well as adapters that enable VoIP communication using POTS telephones. Unified communication systems that go beyond basic VoIP calling include a range of devices capable of transmitting all kinds of data resources. The power of VoIP combined with social networking capabilities allows organizations to use VoIP as a single medium for communicating with voice, video and other data formats. Software applications that use computers and mobile devices as soft clients or VoIP softphones. 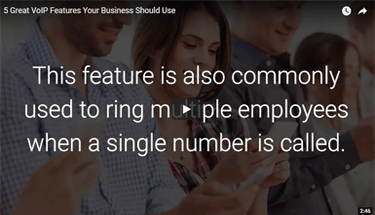 Examples include Skype and Google + Hangouts. The VoIP infrastructure is owned and managed by the service provider. The service is delivered to customers via a Wide Area Network (WAN) data circuit. The provider is responsible for the operations, security, upgrades and availability of VoIP services. 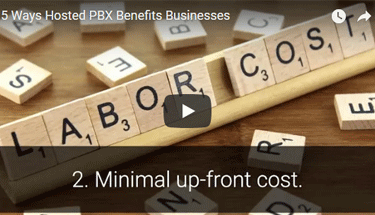 This VoIP delivery model is suitable for small and midsize businesses as an affordable, subscription-based low-OpEx communication service. The VoIP call control mechanisms, technology and infrastructure is owned by the organization and deployed on-site. The organization itself is responsible for the availability, security and performance of the system. This delivery model is suitable for large enterprises with vast and complex VoIP requirements. Effective communication is the key to successful collaboration within a business environment. Traditional telephone systems may no longer address the intensifying communication needs of the modern SMB. At the same time, Internet connectivity has revolutionized the way information is accessed within and beyond the organization. VoIP offers user-friendly and highly functional communication capabilities such as sharing files during a video conference call, connecting individuals without limitations associated with their geographical presence and scaling resources to meet organization’s changing communication requirements.